Tyler Smith, son of George and Becky Arnold Smith, had a freak accident in Colorado in which he broke in collarbone in several places. He will be having surgery at the children’s hospital in New Orleans today. Please pray for Tyler as he undergoes surgery and during the recovery process. A devoted wife, mother, grandmother, great-grandmother, sister and aunt who was loved by her family passed away on Wednesday, December 27, 2017 at St. Helena Parish Hospital in Greensburg, LA at the age of 84. She was born April 22, 1933 in Zachary, LA and was a resident of Greensburg. She is survived by 2 daughters, Debra Kilcrease and Patsy Allen, Greensburg; 2 sons, James “Sonny” Allen, Jr. and David Allen, Greensburg; grandson, William Dustin Kilcrease and wife, Whitney, Pace, FL; 3 great-grandchildren, Georgia and Addison Kilcrease, Pace, FL and Vincent Imbragulio, V, Hammond; 3 sisters, Johnnie Forrest and husband, John, Baton Rouge, Virginia Becker, Baker, and Betty Hewitt, Baton Rouge; and numerous nieces and nephews. Preceded in death by her husband, James Lee Allen, Sr.; daughter, Lillie Kathleen Allen; son, Thomas Allen; granddaughter, Kristi Allen; father, James S. Rogillio; mother, Clara Callender Rogillio; brother, Herman Rogillio; 2 sisters, Billie Alford and Meryal Mason. Visitation at Wesley Chapel United Methodist Church, Greensburg, from 5 p.m. until 9 p.m. on Monday and from 9 a.m. until religious services at 11 a.m. on Tuesday, January 2, 2018. Services conducted by Bro. Don Lum. Interment Center Cemetery, Greensburg, LA. McKneely Funeral Home, Amite, in charge of arrangements. For an online guestbook, visit http://www.mckneelys.com. And a resident of Franklinton died Wednesday morning December 27, 2017. 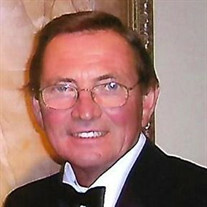 He was a Franklinton High School graduate of 1967 and later graduated from Louisiana State University in 1975. Robert was a big supporter of FHS athletics, as well as all area schools, civic groups, churches and community projects. He enjoyed tailgating for LSU Tigers football games and watching their sporting events on TV. Robert always loved riding his tractor while working on his farm, spending time on the Bogue Chitto River and relaxing at his camp. He was a lifelong member of First Baptist Church of Franklinton. As a young man, Robert decided that caring for the needs of others would be his calling in life as he began working in funeral service at the age of 16. He graduated from Commonwealth Institute of Funeral Service in 1969 and began a short journey that brought his new family back to the community he cared so much for. Robert has been the owner of Crain Funeral Home since 1979 and felt it was his duty to provide comfort to the thousands of grieving families he encountered through his 52 years of service. He always felt it was a ministry to the great families of Washington Parish to show compassion to those that needed his support. Robert had a kind heart and received his greatest joy by providing for others. Either through the monetary gifts that allowed young people to play the games they loved, sponsorship of the countless events that lifted our community spirit, assistance to any local church that helped them fulfill the needs of its congregation or simply spending quality time with his beloved family and grandchildren. He will be fondly remembered and sadly missed by all those that knew him. Also survived by numerous nieces, nephews, other family members and many friends. He was preceded in death by his parents Robert William Crain and Willie Knight Crain, sister in law Sylvia Edwards and brother in law W.F. Smith. Visitation will be at Crain Funeral Home Friday December 29th from 5 pm until 9 pm and after 10 am on Saturday. A funeral service will be held at 2 pm Saturday in the funeral home chapel with Rev. Paul Watts and Rev. Leon Hickman officiating. Burial will follow in Ellis Cemetery. In lieu of flowers, the family prefers donations to the First Baptist Church New Sanctuary Fund (950 Self Street, Franklinton, LA 70438) or to any local Youth Organization. Joan Marie Irwin “Meme” Newman, 73, of Kentwood, passed away on Wednesday, December 27, 2017 at her home surrounded by her loving family. Joan Marie was born in Victoria, TX on September 25, 1944. She attended Texas City High School. She married Al Newman on August 30, 1963. Joan and Al owned and managed Kentwood Raceway as well as Newman Blueberry Farm for many years. She was also a clerical worker for Pike Hospital and a dietician at Kentwood Manor Nursing Home. She’s a member of Taylor Creek Baptist Church. She always had a creative mind and her passions included her grandkids, painting, photography, sewing, crafting, gardening, etc. She LOVED the outdoors. 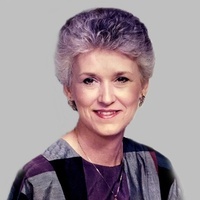 Joan is preceded in death by her mother, June Mangum Feagin “Texas Nanny”; father, Tull Hays Irwin; sister, Betty Irwin Dykes, and niece, Debra Ann Williams. Joan is survived by her husband of fifty-four years, Al Newman; siblings, Corky Irwin and Clarence Feagin; daughter, Leslie Newman Hoffstadt and husband, Henry John Hoffstadt; son, Reese Deven Newman and wife, Lynda Edwards Newman; daughter, Tanya Newman McNabb and husband, Benny Wess McNabb; grandchildren, Brittany Hoffstadt, Hank Hoffstadt, Shelly Hoffstadt, Jacob Newman and wife, Haylea, Casey Newman, Dillon McNabb and wife, Shea, Kolby McNabb and Taryn McNabb; great-grandchild, Baylor Newman; niece, Tami Lang; nephews, David Williams and T. L. Kennedy. Pallbearers will be Hank Hoffstadt, Dillon McNabb, Jacob Newman, Kolby McNabb, Casey Newman and T. L. Kennedy. Visitation at Taylor Creek Baptist Church, formally known as The Lord’s Church, Kentwood, LA from 11:30AM until religious services at 2:00PM on Friday, December 29, 2017. Services conducted by Rev. Don Meadows. Interment New Zion Cemetery, Kentwood. McKneely Funeral Home, Kentwood, LA in charge of arrangements. For an online guestbook, visit http://www.mckneelys.com. A native of Jamestown, NY and a resident of Amite, LA, passed peacefully on Wednesday, December 27, 2017 at Tangi Pines Nursing Home in Amite. She was born February 7, 1921 in Buffalo, NY and was 96 years of age. She was co-owner of GMA Enterprises, Inc. at 321 Hazeltine Ave. in Jamestown. She is survived by her daughter, Angela Biandolillo and husband, Ross, Amite, LA; son, Dr. George Guzzardo, Jr. and wife, Shirley, Kenner, LA; 10 grandchildren and 13 great-grandchildren; brother, Nick Agnello; sisters, Angie Mistretta and Rita Baker. 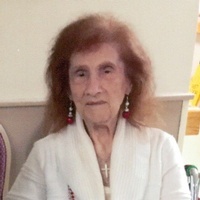 She was preceded in death by her husband of 53 years, George Guzzardo, Sr.; son, Dr. Michael Guzzardo; parents, Marietta Vento and Ovazio Angello; brother, Tony Agnello; nephew, Nick Agnello; Visitation at McKneely Funeral Home, Amite, from 11 a.m. until 12:30 p.m. on Friday, December 29, 2017. A Mass of Christian Burial will be at St. Helena Catholic Church, Amite, at 1:00PM on Friday. Services conducted by Fr. Mark Beard. Interment Amite Memorial Gardens, Amite, LA. For an online guestbook, visit http://www.mckneelys.com. Read the Bible – Choose your own passage today. Lottie Moon Christmas Offering – I will be putting eight more lights on the poster this morning. One hundred percent of the money given goes directly to international missions. If you see the need for missions, this is a good way to support them. Today won’t be so cold, so this is a good day to get out before even colder weather arrives, but be aware the flu is spreading in our area. Use precautions not to catch the flu.